This form, although simple, allows students to practice with representing numbers in various ways. They get excelling practice with using number words, tens and ones, expanded form, and also how to make the number using other numbers. 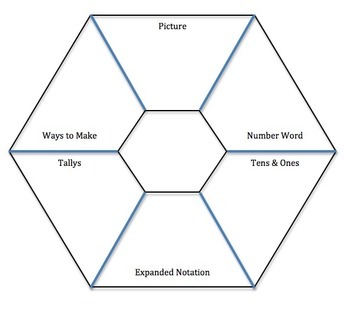 I used the simple page as a morning warm up each day and had them paste it into their math notebooks.